The law of attraction has gained wide popularity these days and people are gradually realizing that they do have a control over their lives, but the success rate is still very low and only a few people have been able to apply these principles in their lives to get the desired results. Despite of having a great deal of information in form of written materials and courses on this subject, people fail to get the real message behind these teachings which is “You attract what you think of”. By “thinking” it is not only meant just the thoughts that comes in a person’s conscious mind, sometimes it is about the feelings and sometimes it is about the deep rooted beliefs in a person’s subconscious mind. Like the physical visible body that we all have, we also carry an energy body which is invisibly present around our physical body. In truth, our physical body is the extension of our non physical counterpart. The vibrational status of this invisible energy system of ours decides our point of attraction with reference to what we desire at any given point of time, this vibrational frequency varies mostly in two ways- One is based on the feelings of abundance and the other is based on the feelings of lack. 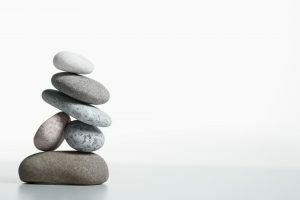 At any moment,you can either feel and enjoy a sense of having enough in life or you can fret over not having enough in life(the degree varies), your feelings decides the nature of your energy which further results into the outside occurrences of the events which matches with these inner patterns. So, as we have discussed that the law of attraction depends on the person’s energy system’s vibrational frequency. The problem which most people face while applying the law of attraction techniques is that once they have given enough positive attention towards what they want in their lives, they turn the other way around and start to think negatively by default because our mind is subjected to the law of duality so, it neutralizes the positive attention given towards the desire with the negative thoughts. How can one avoid the negative flow of thoughts that follows when the desired outcome gets delayed? Answer to this question is – The Present Moment Awareness! By practicing the present moment awareness one can immediately raise his/her vibrations to higher levels.It brings detachment with the outcomes, so a person enjoys his present moment and the feeling of lack goes away which allows the free flow of life force resulting as the manifestation of what has been asked. Once a person has given enough positive attention towards his desires and used the LOA methods to attract what he wishes in his life, the next step is to detach yourself from the outcome which is a little difficult task as one has been focusing towards the desire for such a long time. Becoming present in the Now moment is the key to manifest one’s desire quickly because it immediately shifts a person’s point of attraction. Practicing being in the present moment naturally changes your emotional state to joy which will orchestrate the external events to match up with your energy’s current vibrational state.